The «Liteinoye proizvodstvo» Publishing House, Russia, issues three specialized scientific-technological periodicals - «Liteinoye proizvodstvo» and «Foundryman’s Library» monthly, «Metallurgy of Machinery Construction» – every two months. The journal with a scientific attachment each decade, is the country’s leading scientifictechnological journal covering foundry issues. «Liteinoye proizvodstvo» monthly gives unique information on the domestic industry’s new processes, technologies, equipment and materials used for quality casting production. The international scientific-technological journal publishes articles on innovative metallic materials for machinery construction, methods of their processing, prospective technologies of blank production stage. 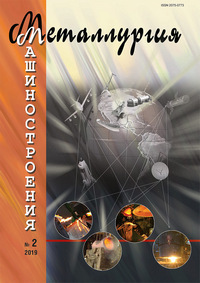 The journal contains the reviews of patents and inventions, the state standards on the foundry materials, technologies and equipment: abstracts of Russian and foreign journals’ publication on foundry; commented paragraphs of the specialized dictionaries and reference books, interesting popular information on foundry and castings, foundry world personalities; legal consulting page. Upon the order of an advertisement inset with us, we offer its multiplication of the required quantity at a highly attractive price, to be used as a separate advertisement brochure. Such world-known companies as Laempe GmbH, Kьnkel-Wagner, ABB Process Industries, Heinrich Wagner Sinto (HWS) have already used this opportunity to our mutual benefit. The list of our advertisers includes companies from Russia and the CIS, Chine, Germany, Poland, the USA and other countries. On joining the group of our advertisersyou will make your company known to almost each of your potential partners on the territory of the former USSR, as “Liteinoye proizvodstvo” is the eldest specialized periodical in Russia and so far has no analogs comparable with us in competence and popularity in the scientific and business world of the industry.